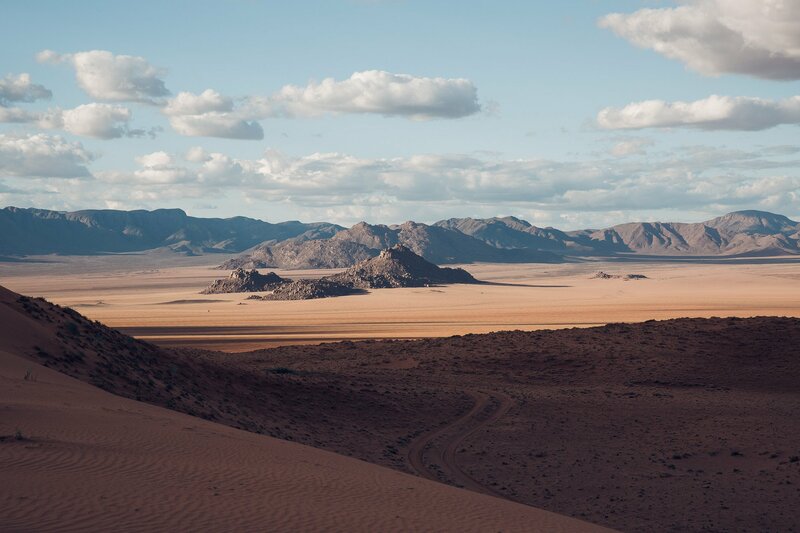 When traveling through Namibia the vastness of the land becomes evident every day. Either you sit in a car for hours passing by nothing but ever-changing landscapes (and only a handful other cars). Or you stay in a lodge in one of the nature reserves, that feels like a whole private planet. 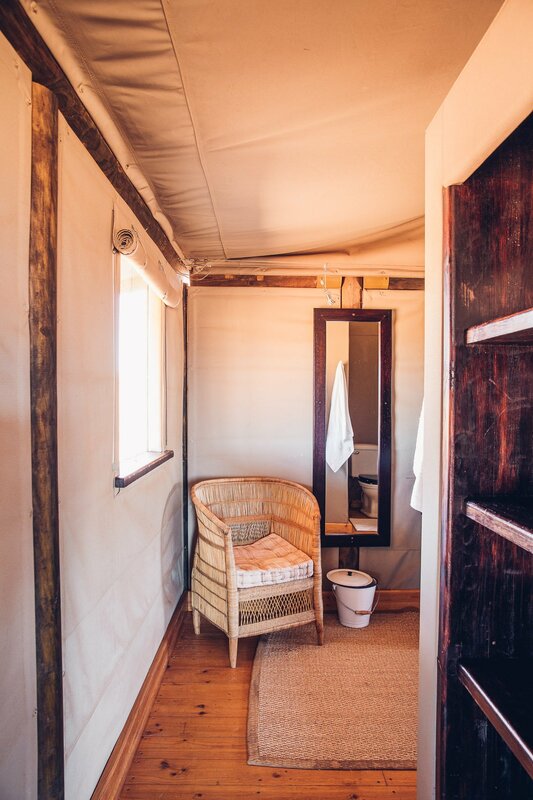 At Wolwedans privacy and intimacy is at the core of the offering – plus a very strong focus on sustainability and eco-tourism, that goes beyond just using hollow phrases. 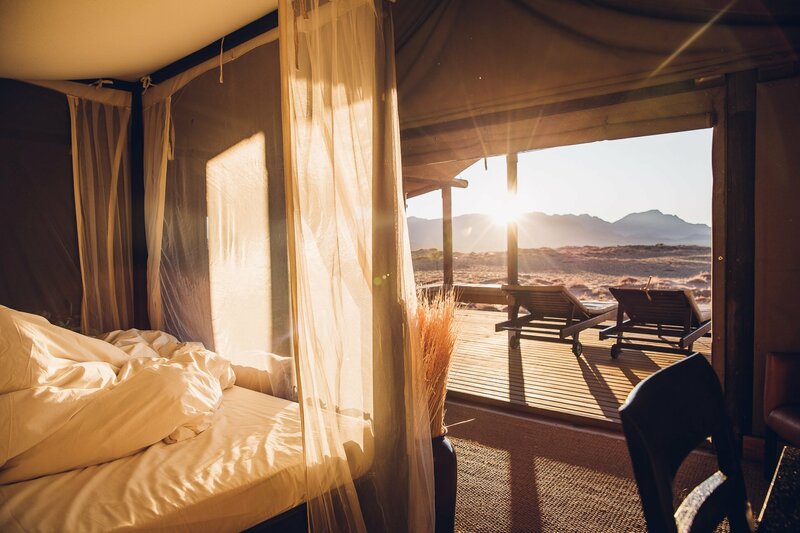 Let us introduce you to a luxury eco-tourism lodge of Wolwedans! 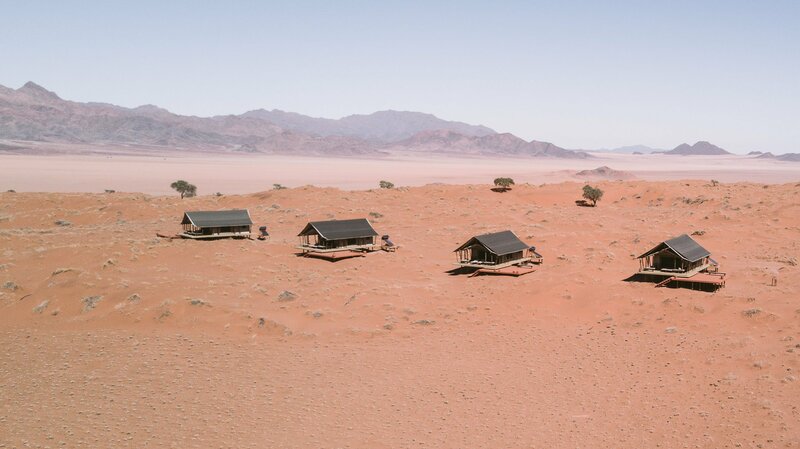 Wolwedans Dune Camp amidst the NamibRand Nature Reserve. 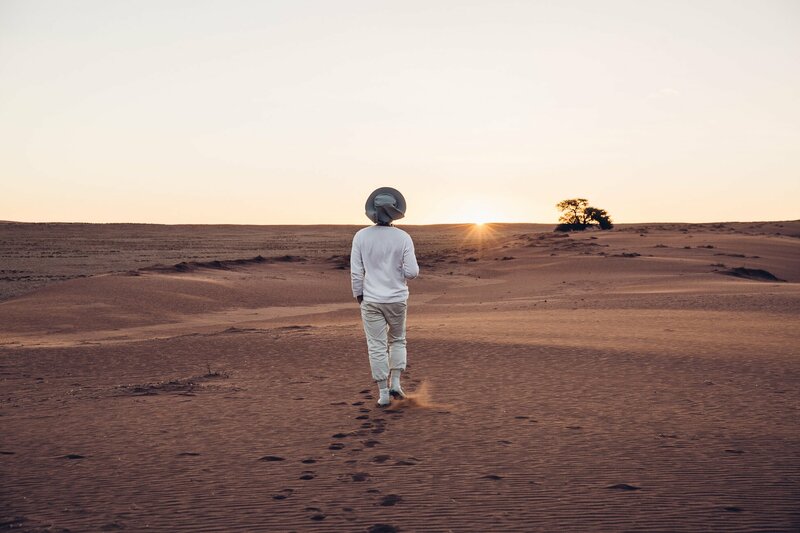 If you prepare for a road trip through Namibia, there will be a couple of regions, that are fix starters – like Etosha or Sossuvlei or the town of Swakopmund. 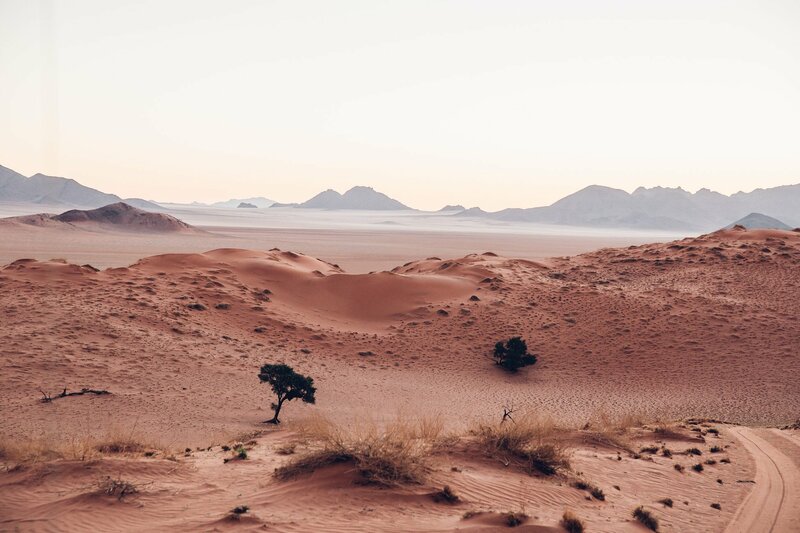 But it’s worth considering areas of Namibia, that aren’t as commonly visited – and the NamibRand Nature Reserve falls in this category. 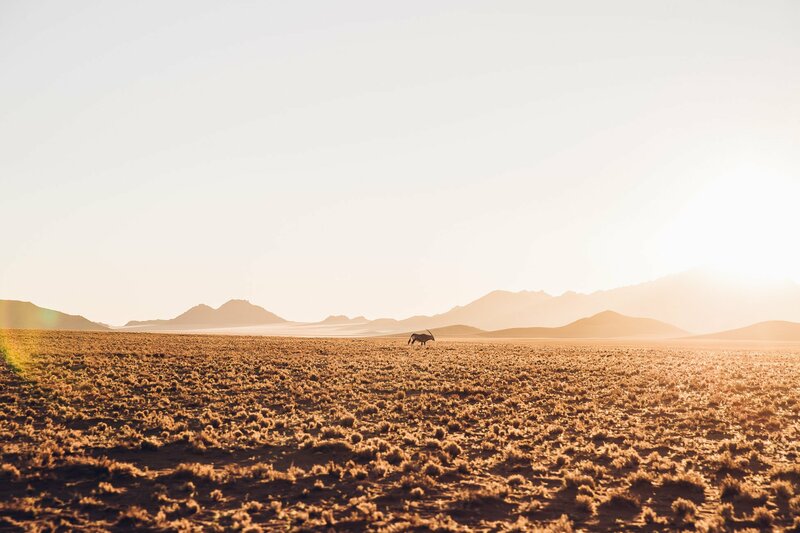 The landscapes of NamibRand are defined by a mix of mountains, plains and sand dunes. 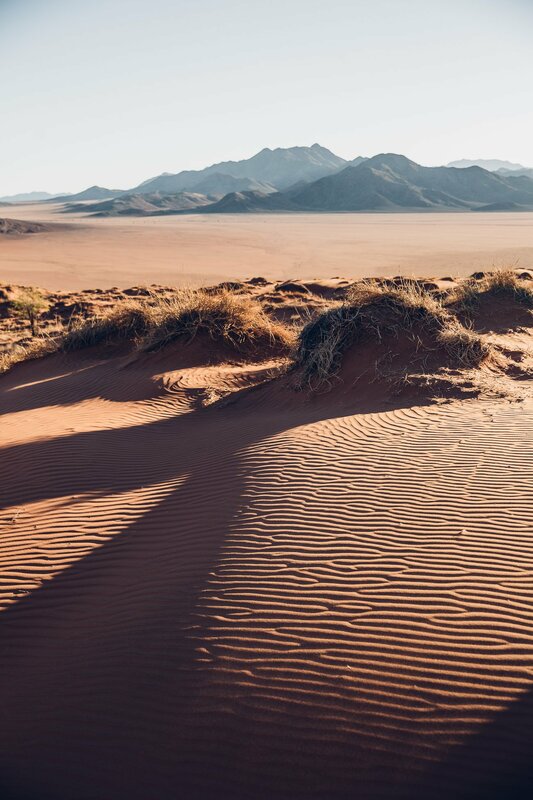 The NamibRand is a private nature reserve, which lies at the edge of the Namib desert and just 1,5 hours South of Sesriem and the entrance to the Sossusvlei. Therefore we stopped here on our way South from Sossusvlei for two nights and would definitely recommend this tour stop! The location of Wolwedans Dune Camp in Namibia. 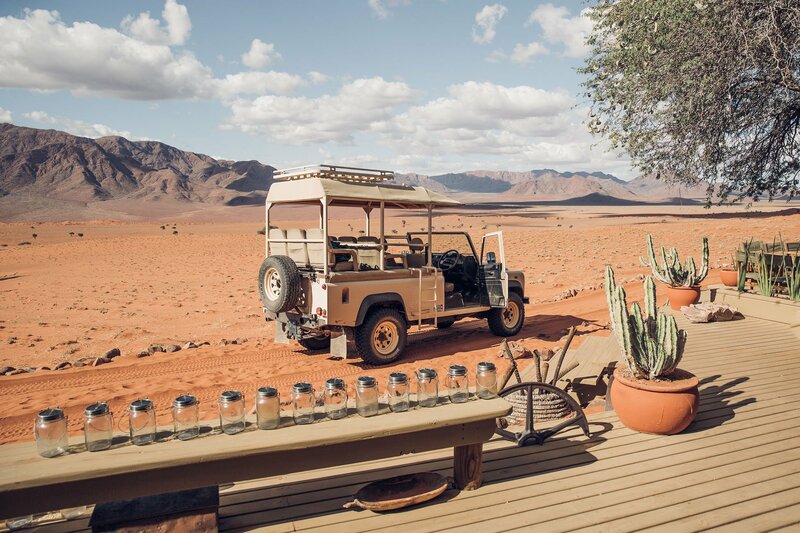 Wolwedans is a collection of camps that is located within the huge NamibRand Nature Reserve. And when we say huge, we mean incomprehensibly large. It spans over 215.000 ha (2.150km2), which is bigger than the cities of London and Vienna combined. 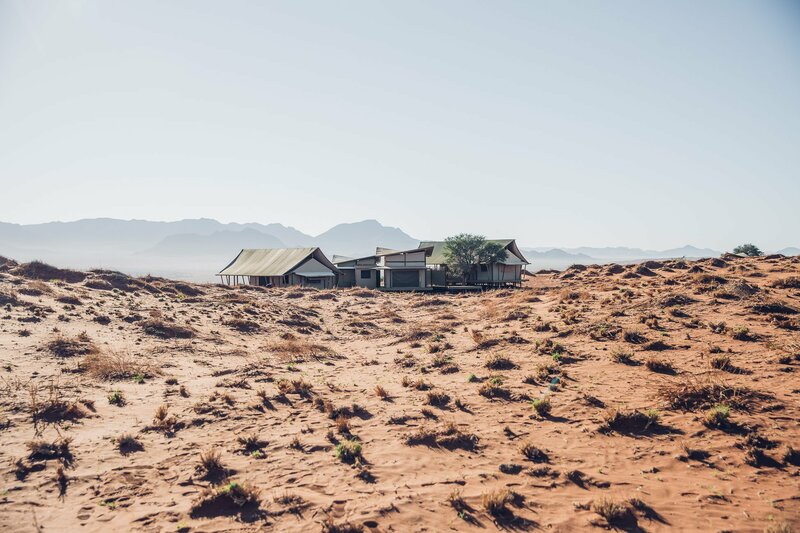 But with a little less inhabitants 😉 We would guess that about 100-200 people live within the borders of the NamibRand – all staff members of the private nature reserve. 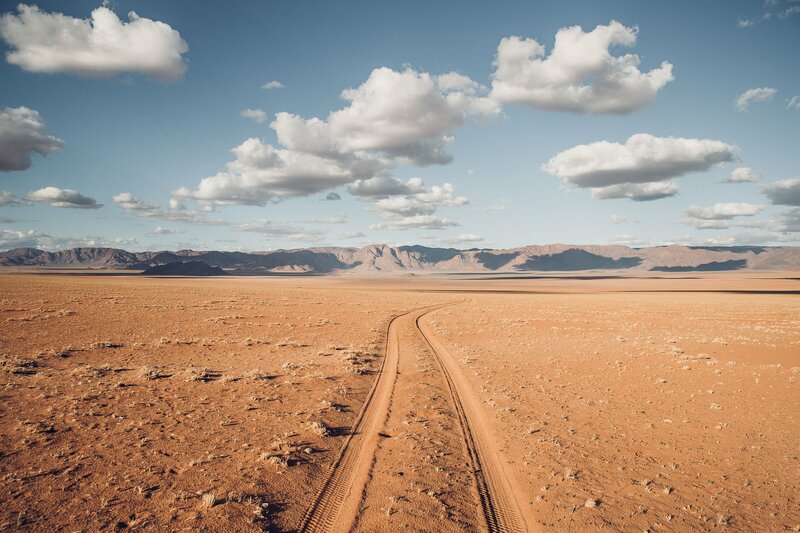 The NamibRand can be described as vast nothingness – larger than London & Vienna combined! Where the sand dunes meet the savannah is where farmers used to raise their sheep or other livestock just a few decades ago. Along came Albi Brückner – a man with a vision. He slowly began to buy farms, one by one in the 1980s, to return them back to their original state. Taking down fences, allowing wildlife to roam freely, digging out waterholes and finally buying animals to reintroduce them where they had vanished. 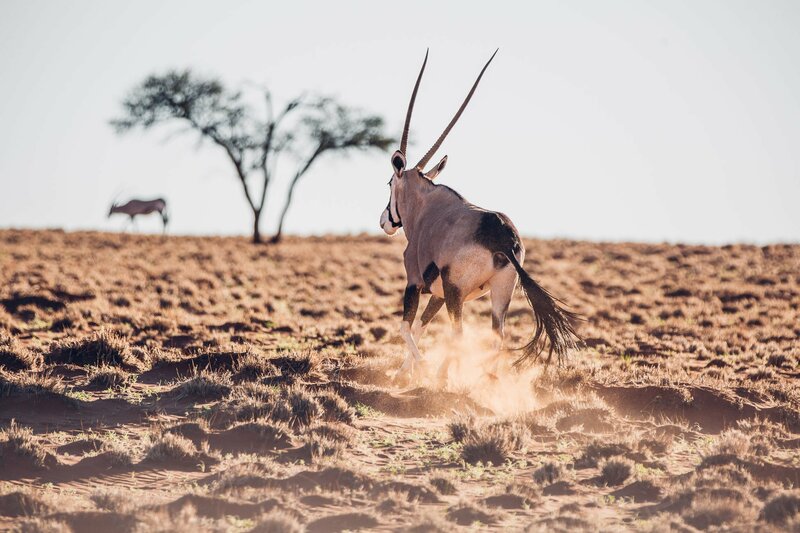 It’s hard to imagine that this used to be farmland… today Oryx can roam free again! Since all the fences have been taken down wildlife is slowly reappearing. First and foremost the Oryx – a stately antelope. But there’s also the first predators coming in – like leopards and lions. Albi Brückner dedicated this area, but also his life, to sustainable conservation until he passed in 2016. But his legacy lives on at Wolwedans. Today the NamibRand is one of the largest private nature reserves in all of Africa, if not the world! 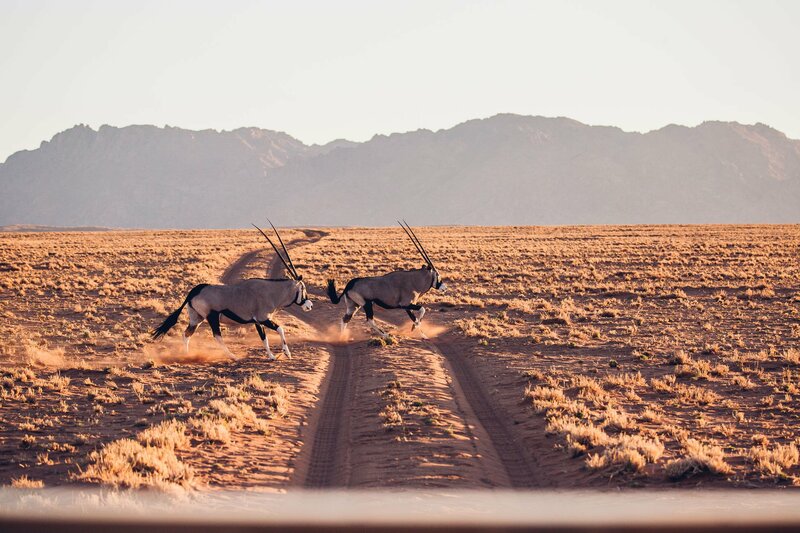 Although Wolwedans is privately owned, the nature reserve is founded on very strict principles of land recultivation. The whole reserve was established to help protect and conserve the unique ecology of this part of the Namibian desert. As a guest you can sense this in a multitude of small details. Conserving this landscape is one of the main goals of the NamibRand Nature Reserve. The small details are as an example, that you won’t get plastic bottles at Wolwedans. As opposed to other lodges there’s no water in plastic bottles handed out during the scenic drives. Instead upon check-in we received our very own re-usable metal bottle, which we brought to the activities and got refilled with ice-cold water at the main lodge building. 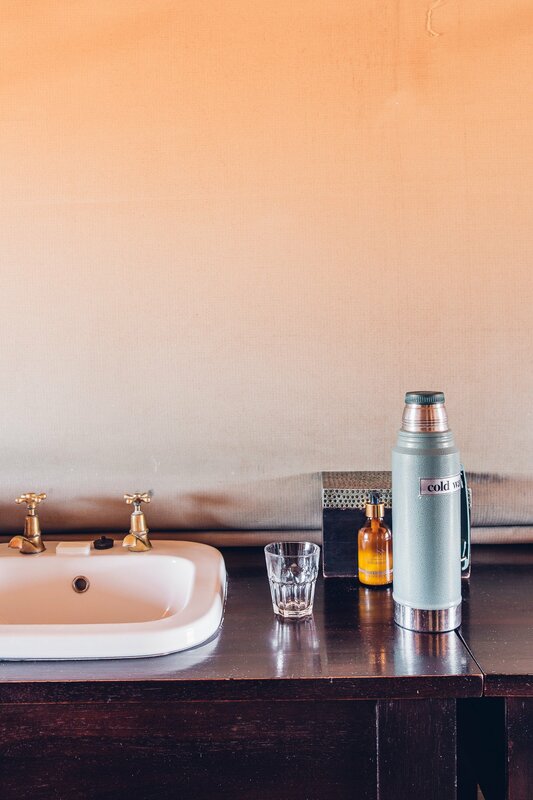 Reusable bottles with cold water are provided at Wolwedans instead of plastic. Also there are no power outlets at the tents, but only one main charging station for all the guests in the main lodge. 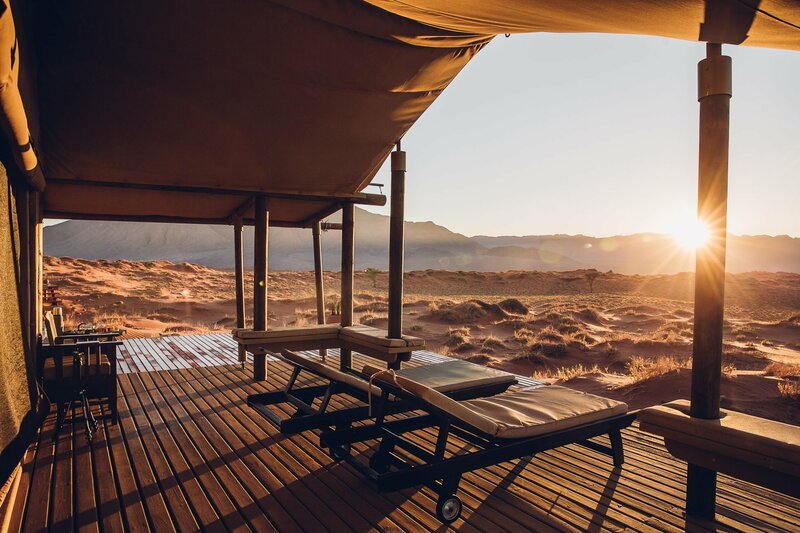 This is the core of Wolwedans Dune Camp, this is where guests are welcomed at the check-in, eat all their meals and sit around the fireplace and watch the stars at night. Well, and charge their mobile phones… 😉 The power is provided exclusively by solar panels. The main lodge is where everyone gathers to charge their phones or cameras. 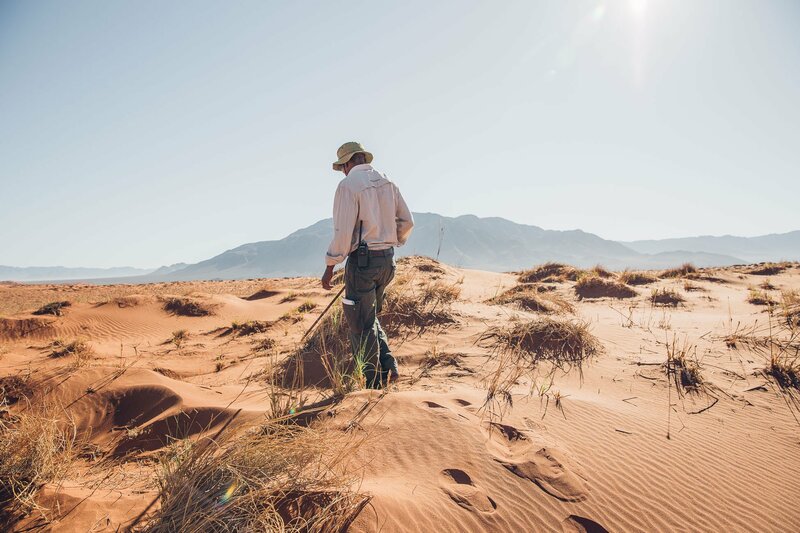 As a guest you know that the revenue you generate is used directly to help research, conservation efforts and other measures to help re-introduce wildlife and bring the NamibRand back to being a safe haven for wildlife, instead of a commercially run sheep farm. The tourism revenue at Wolwedans goes directly to wildlife conservation. As stated above Wolwedans is a “Collection of Camps”. 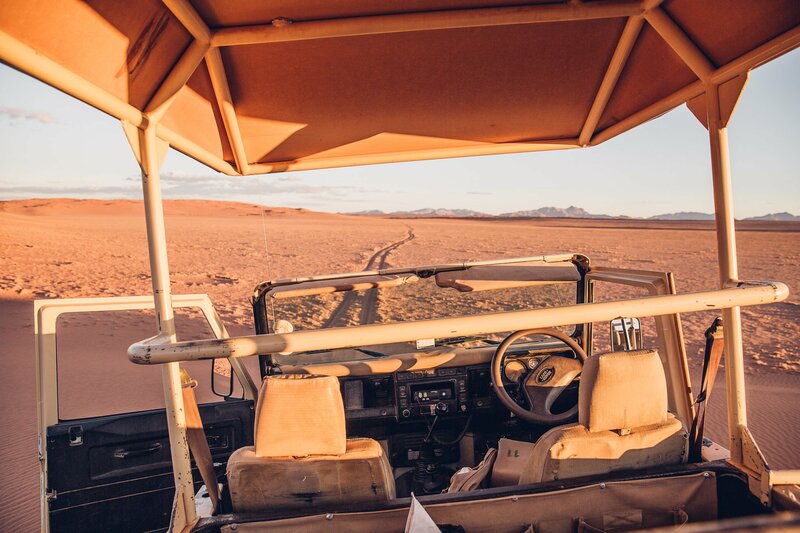 This basically means, that there are several different kinds of camps – which are spread out with quite some distances around the areal of NamibRand. If you stay at one you won’t see the other (well, there’s enough space 😉 ). 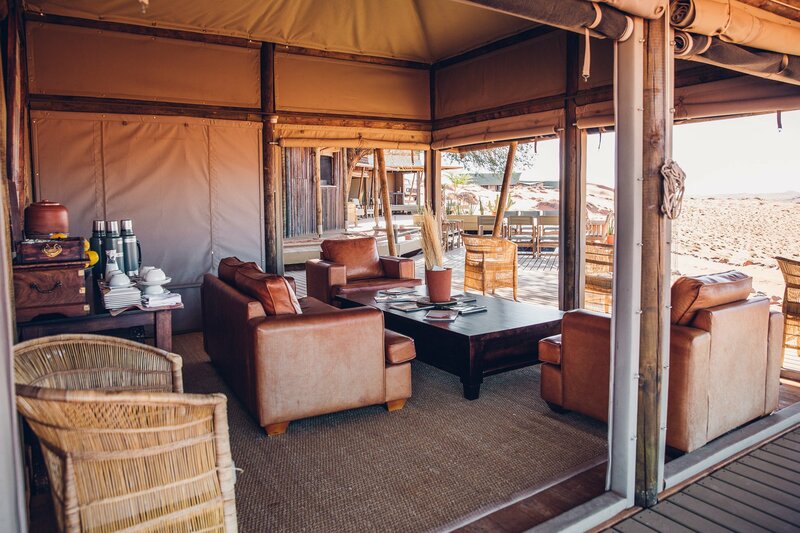 We stayed at the Dune Camp, which is now comprised of 9 private guest tents for each 2 guests. 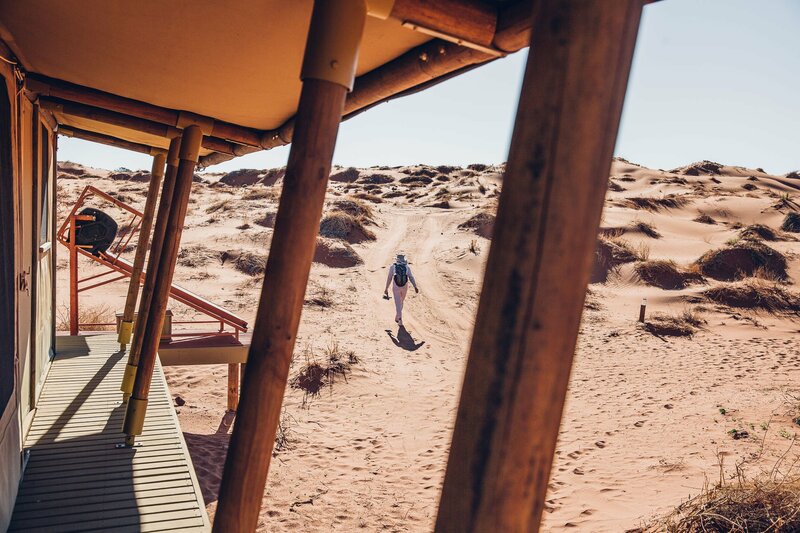 So a maximum of 18 guests can stay at Wolwedans Dune Camp at any given time. 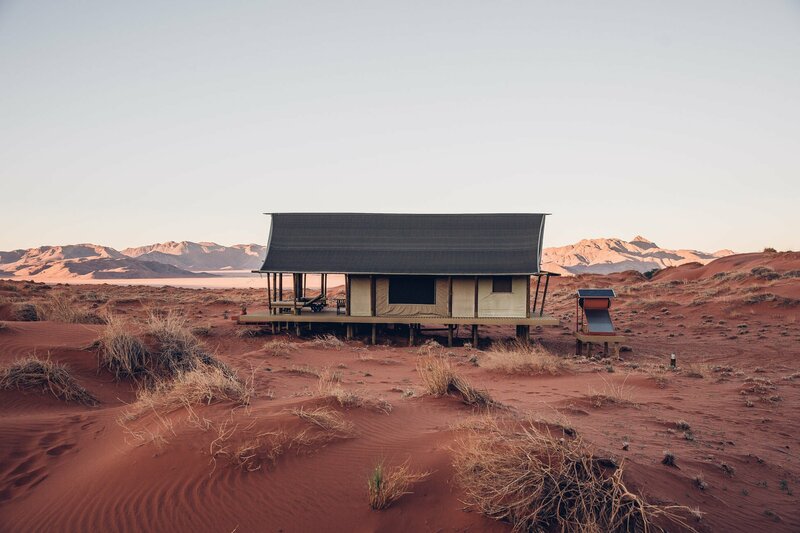 The main lodge at Wolwedans Dune Camp. 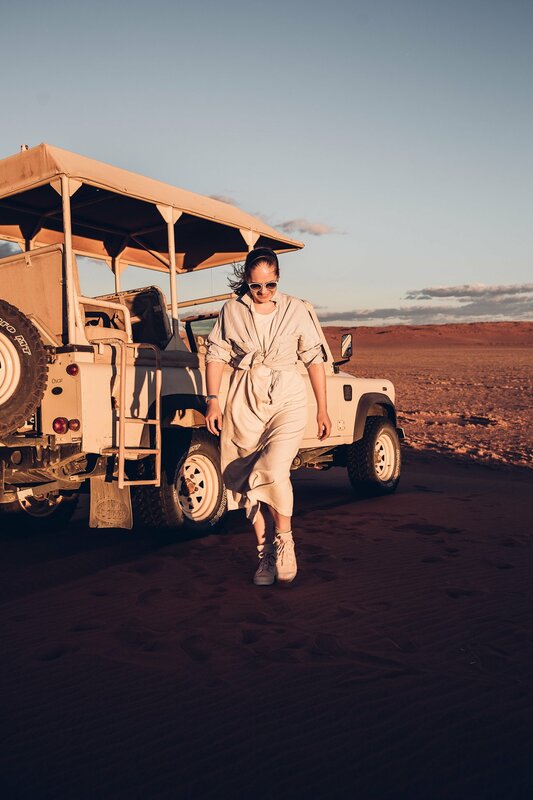 Our private shuttle to Wolwedans Dune Camp. 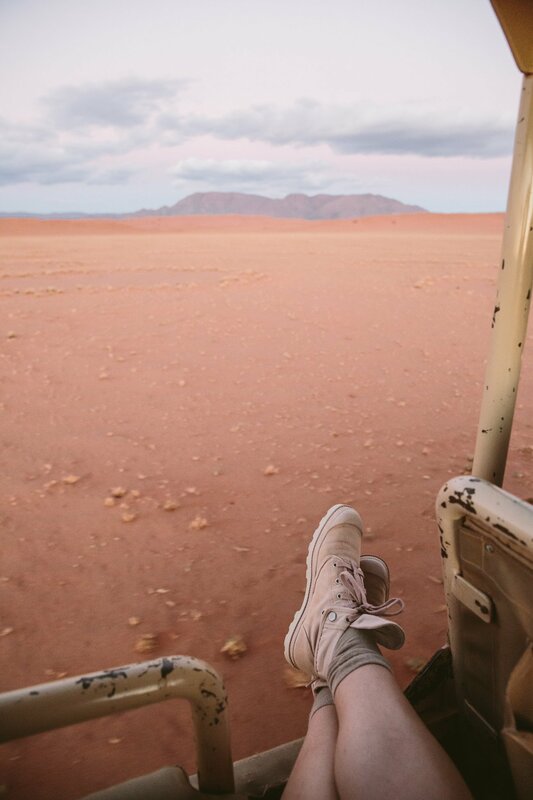 After check-in you’ll walk through the red sand directly to your private luxury tent. The tents are built atop a wooden platform with a huge deck facing sunrise to the East. 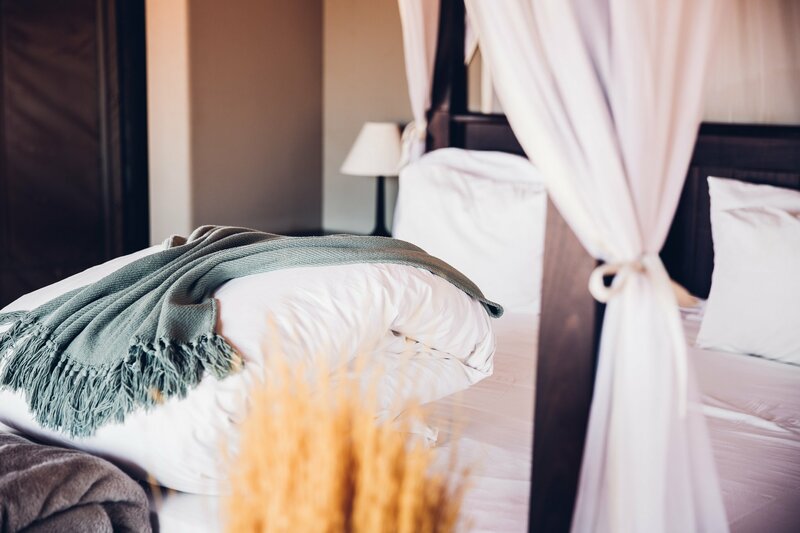 They come equipped with everything you need – from a comfortable double bed with a mosquito net to a safe, two sinks, a shower, a closet and even a desk if you really want to work here. 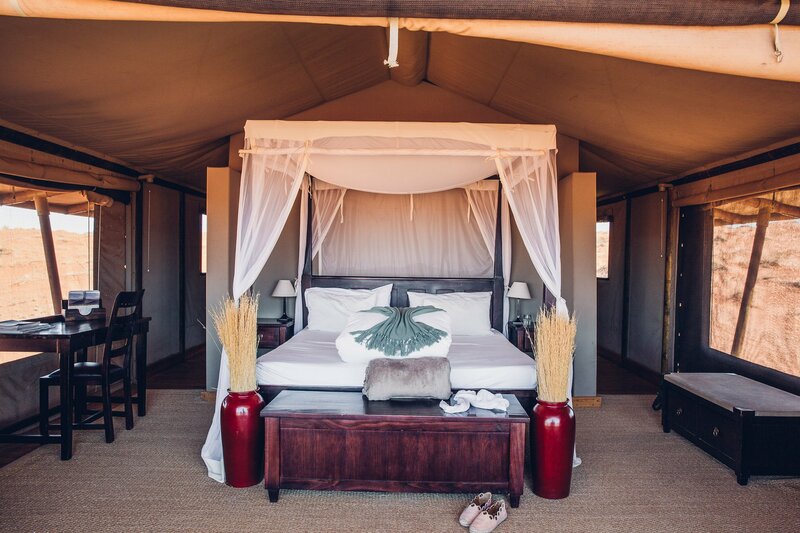 Wolwedans Dune Camp doesn’t feel like camping, but rather luxurious! 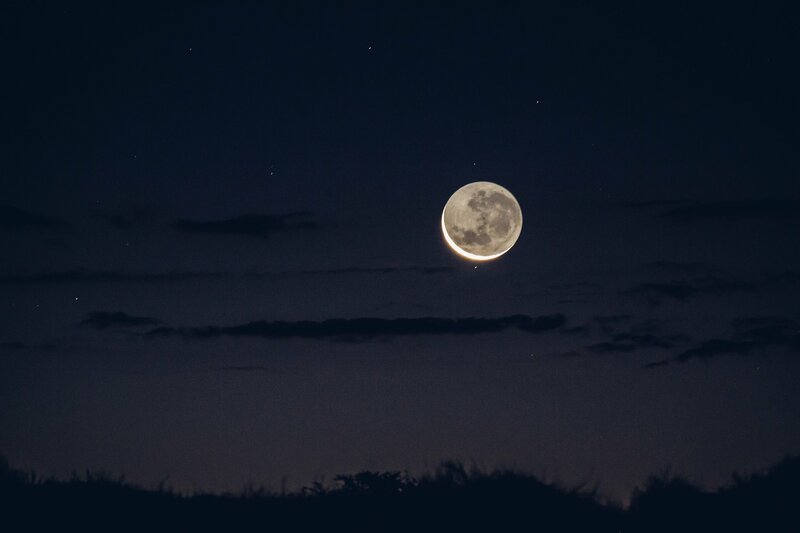 The only thing that’s missing is Wifi in the rooms, but guests come here for the serenity and to gaze at the stars at night instead of their smartphone screens. The main lodge has wifi – theoretically. In practice the wifi was really slow and barely let e-mails come through. 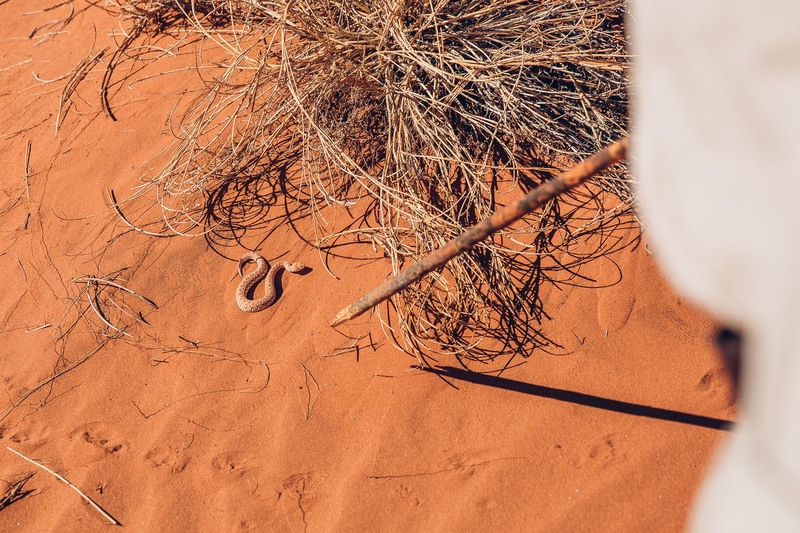 So you really might want to disconnect while you’re at Wolwedans! The daily routine at Wolwedans starts with a sunrise tea ritual. Silently one of the team members brings a tray with a selection of teas, hot water in a can and cookies to our private terrace before dawn hits. This way we woke up with the sun and sat on our terrace while enjoying a cup of fresh Roiboos tea to wake up. Mornings start with a cup of fresh tea at sunrise on the private deck. After a hot shower in the luxury tent we got dressed to get à la carte breakfast at the main building of the lodge. 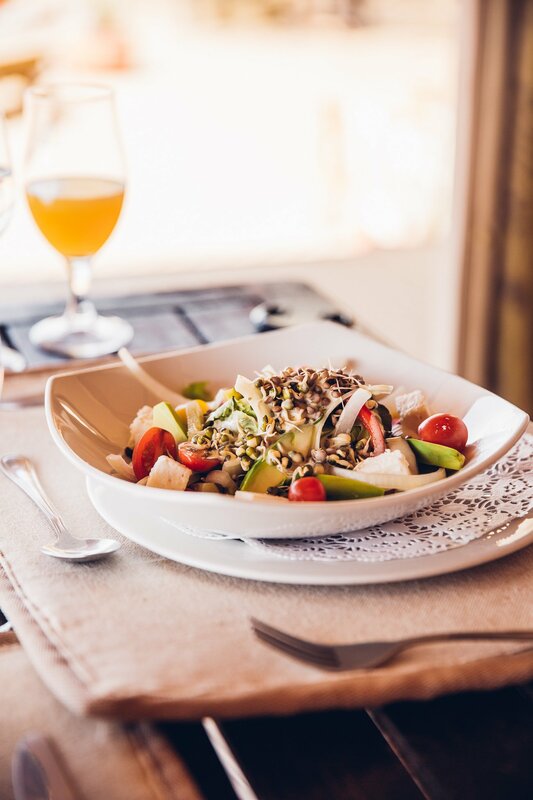 The breakfast was one of the best we had during our whole trip through Namibia, with fresh pancakes, a selection of fruits and eggs Benedict – a welcome change to buffet breakfasts. 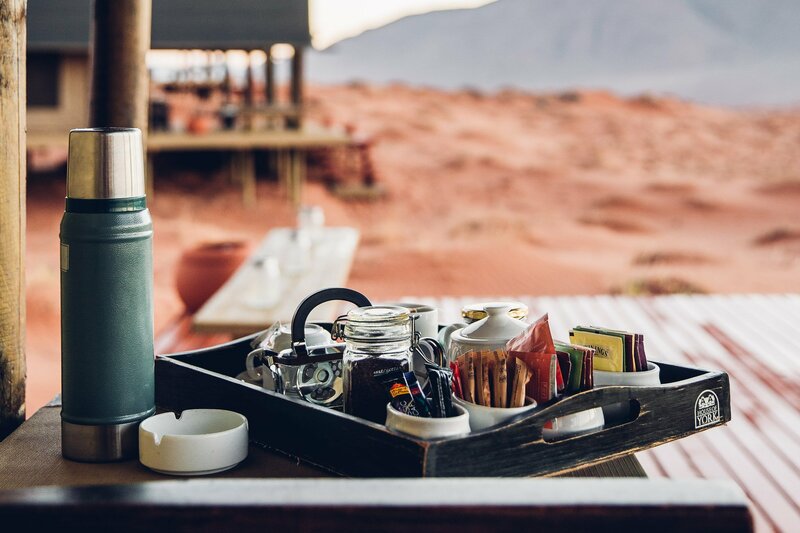 Where breakfast is served at Wolwedans Dune Camp. Learning to read tracks from a Bushmen was a really interesting activity! 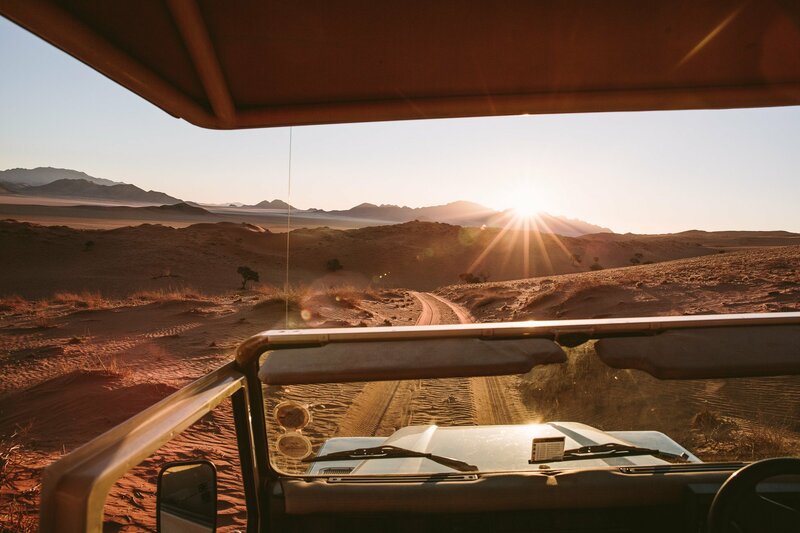 The highlight of our activities at Wolwedans was definitely the daily scenic drives – either before noon or in the late afternoon until sunset. 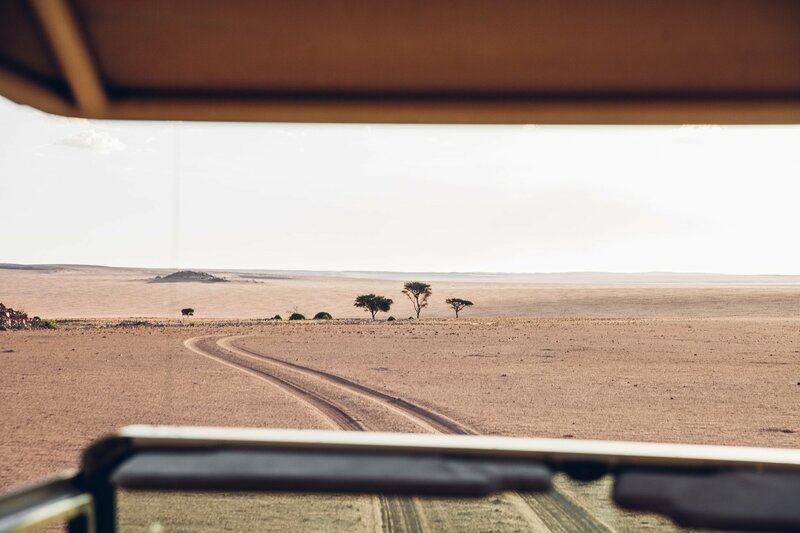 Those aren’t really game drives, as there’s not many animals to be discovered in the vast landscape, that is defined by a mix of dunes and savannah. The scenic drives at the NamibRand brought us to many beautiful vistas. The landscapes are out-of-this-world beautiful. 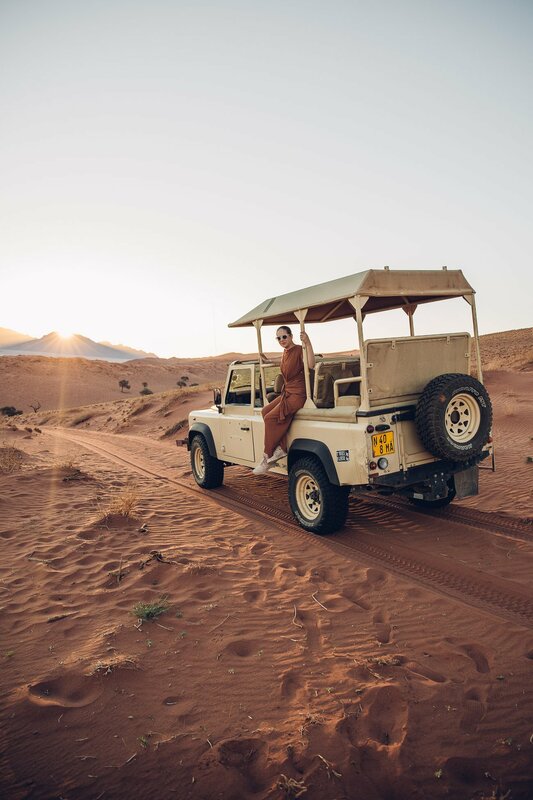 You’ll drive over red shimmering dunes overlooking a huge flat plain dotted with fairy circles that is circumvented by the mountains of Nubib to the East. With every corner you take the views are more incredible than before! 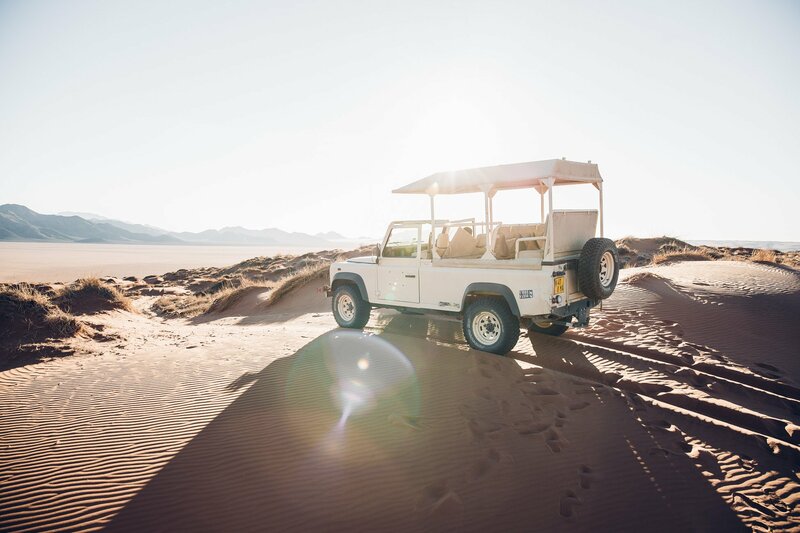 Riding an open Landrover through the NamibRand is an unforgettable experience. 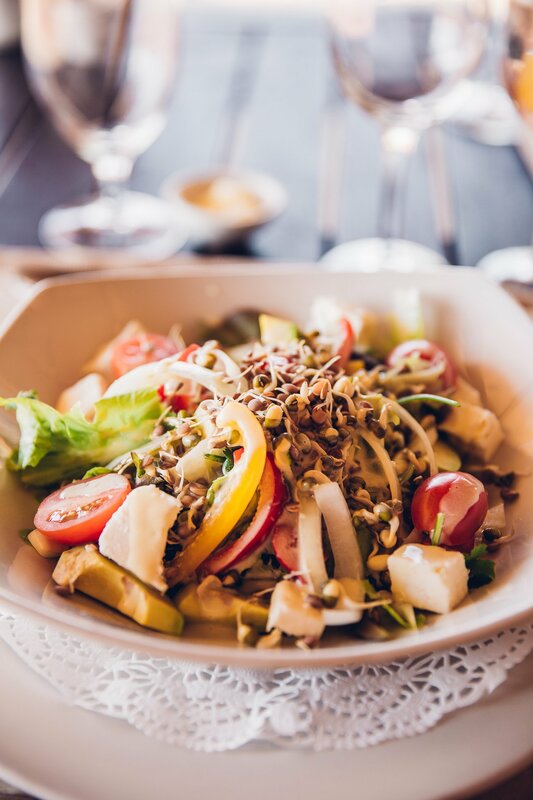 After the morning drive you’ll get back to the lodge to enjoy a light 3-course lunch. Then there’s time to relax at your tent, read or just enjoy and unwind. Before you prepare for the afternoon scenic drive again, which will last until the sun sets. Scenic drives take place in the morning after breakfast and in the late afternoon until sunset. After returning to the lodge we usually went back to our tent to get ready for dinner. 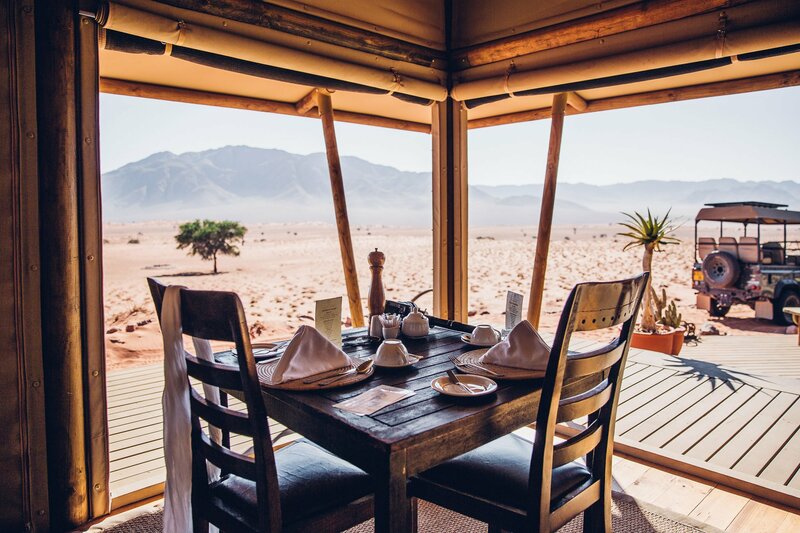 Now when we say dinner it might sound like a normal thing, but dinner is celebrated as a family affair at Wolwedans Dune Camp. All the guests sit together at one table and enjoy a 4-course dinner together. 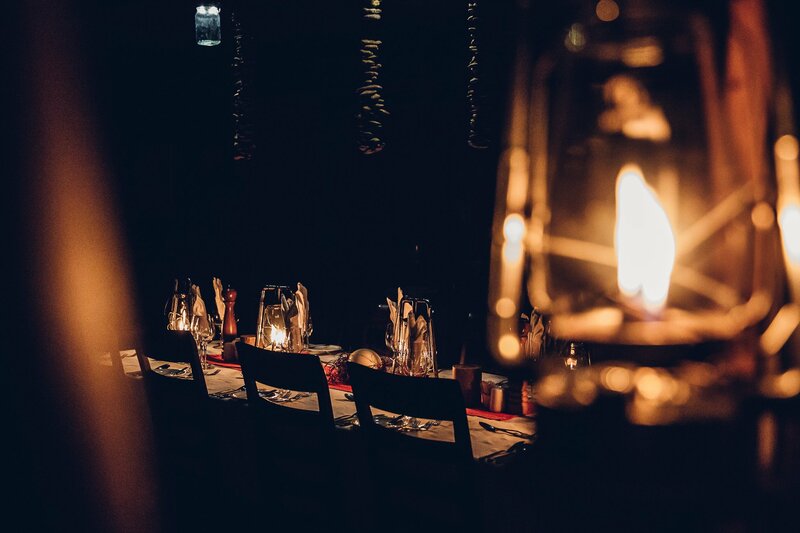 We usually enjoy our privacy when we’re traveling, but at Wolwedans we stroke up so many incredible conversations with like-minded travellers from around the world, that we really enjoyed this dinner setting! 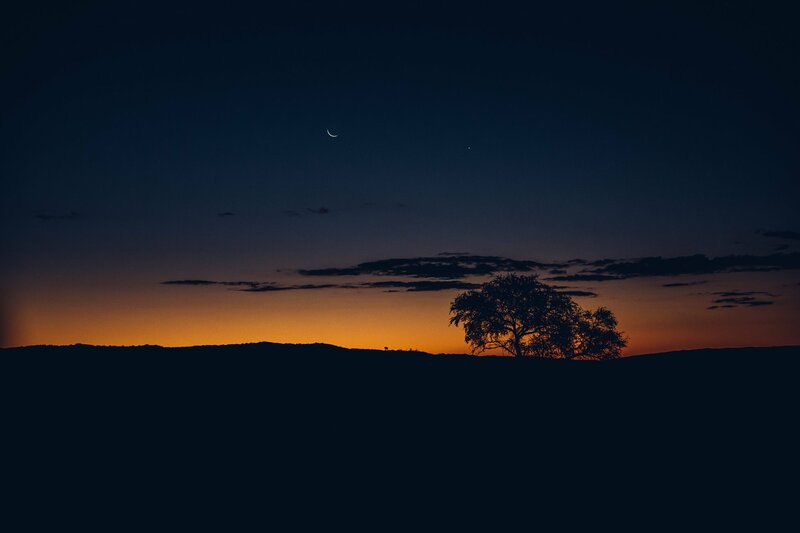 Night time at Wolwedans is magical! 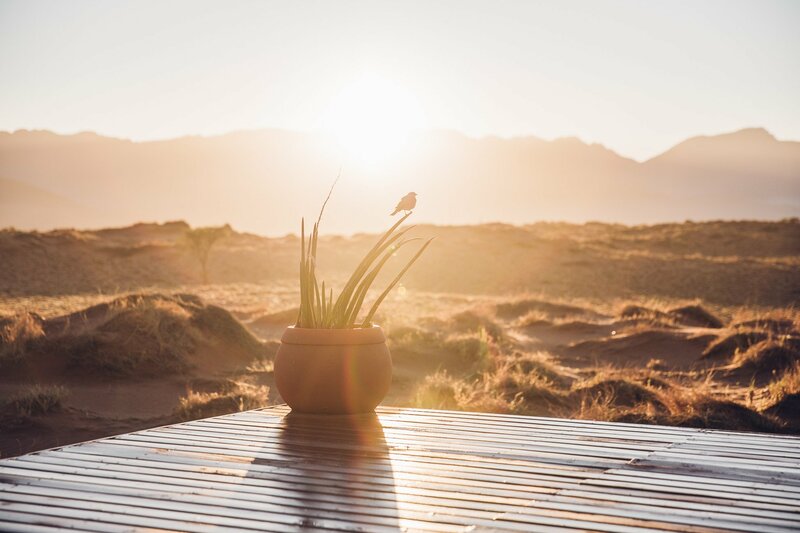 The tranquility and privacy of Wolwedans is specifically tailored for the needs of couples, that are looking for a pause in their hectic schedules. 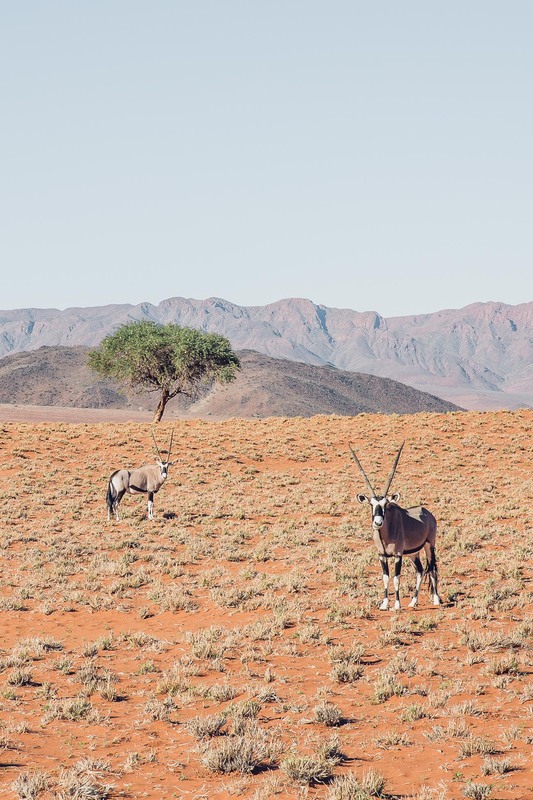 The NamibRand isn’t as bountiful when it comes to wildlife as Etosha or Erindi. Therefore you shouldn’t be searching for adventures or action, when you come here. 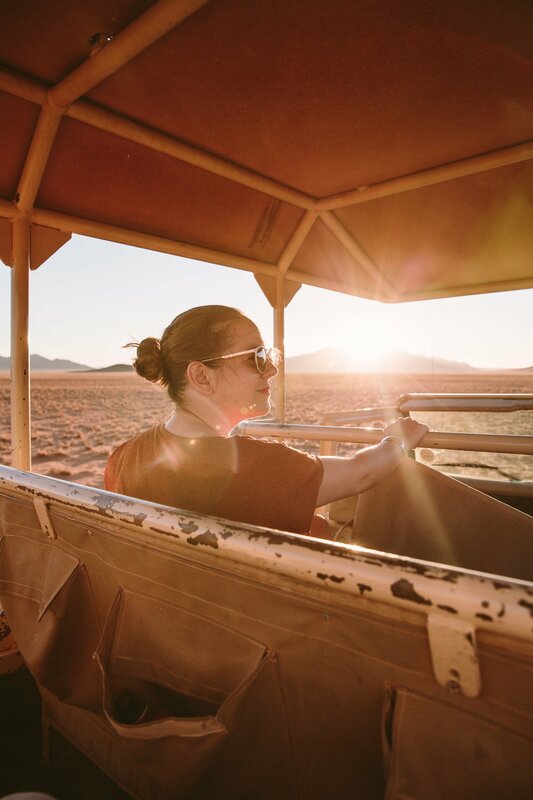 Don’t go searching for action at Wolwedans! 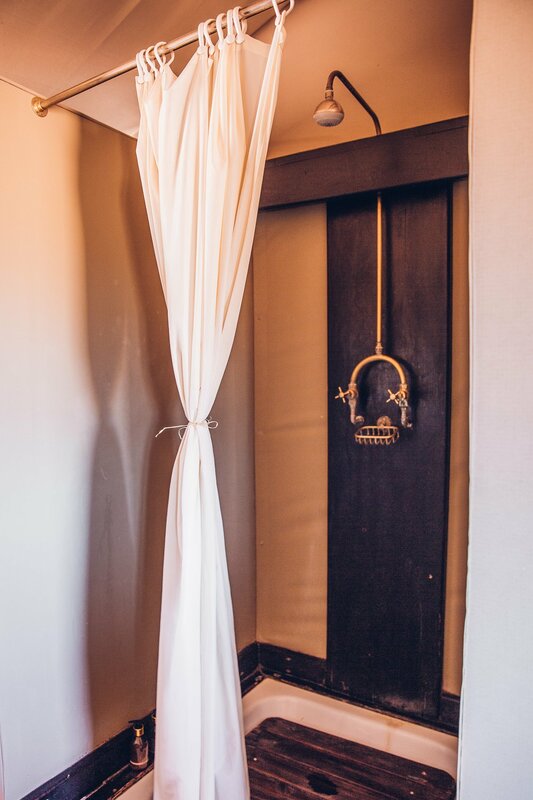 It’s a place to unwind and relax. 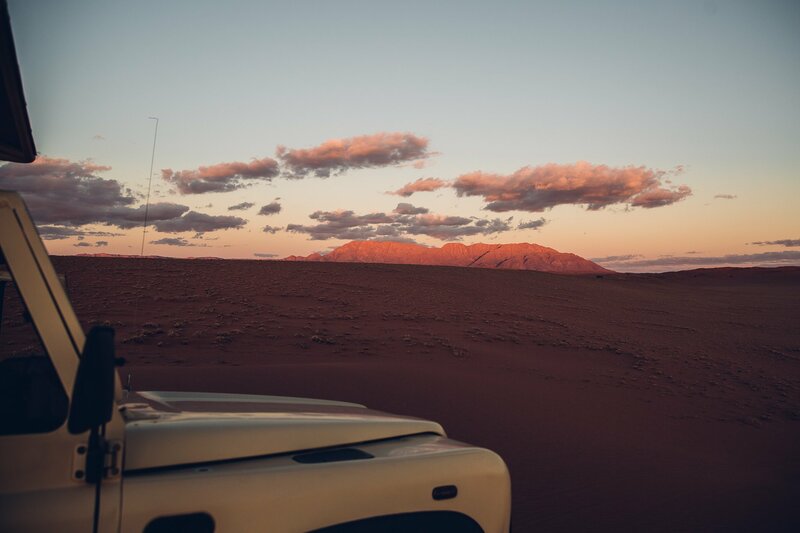 We would recommend Wolwedans as a stop-over after some hectic days of driving through Namibia. It’s a perfect pause to sort your memories and relax. Wildlife encounters might be limited to birds and Oryx, but this let’s you time to de-stress. If you want to find out more about Wolwedans, visit wolwedans.com! 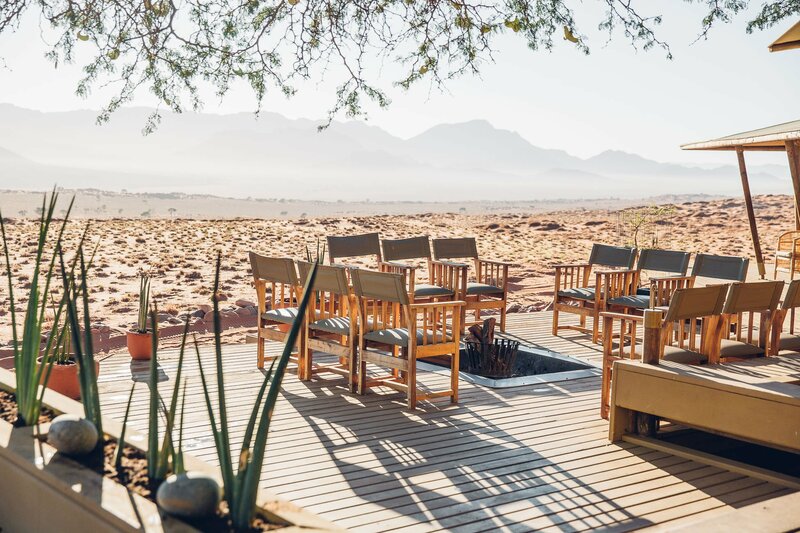 Disclaimer: We were supported with a reduced press rate during our stay at Wolwedans Dune Camp, but our views stay independent from this reduced price. Was a pleasure meeting you there.